← Free Architecture This Weekend! This weekend was Melbourne Open House and as promised I took the opportunity to check out 3 of the city’s newest landmarks. Joining me for the ride were some good friends and some temperamental Melbourne weather. 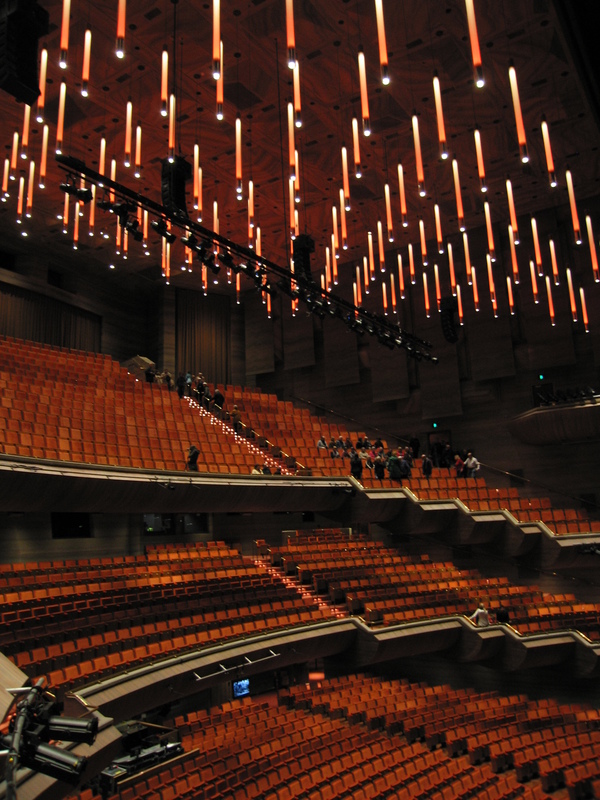 The first stop for the day was the reinvigorated Hamer Hall. 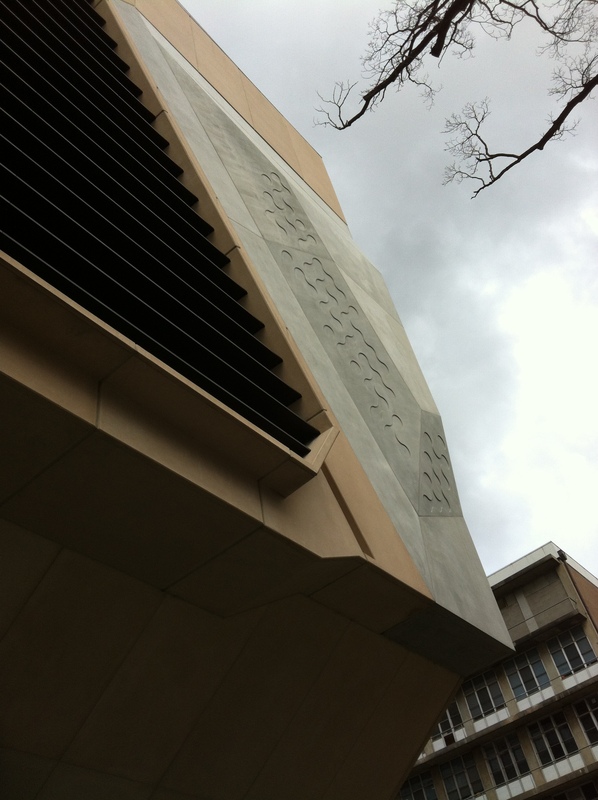 The original brutalist building has just undergone a facelift by Architects Ashton Raggat McDougall and had only been officially reopened last Thursday. 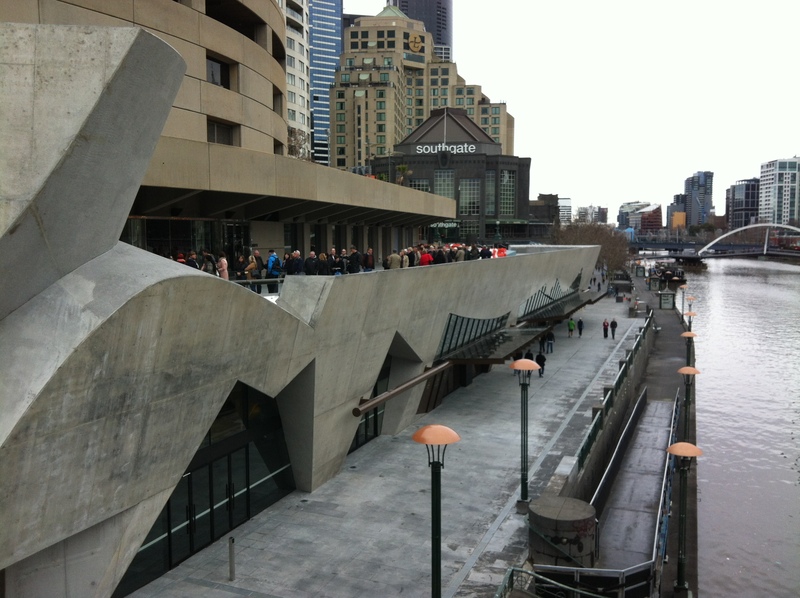 The first thing you notice about the redesign is the new playful concrete exterior facing the Yarra River. The concrete materiality strongly references the original building whilst the free forms relate to a more contemporary design. From within I was most impressed with the auditorium itself. The earthy tones, mixed with the vibrant red vertical lights create a space worthy of an important occasion. The seating was extremely comfortable and generous in dimensions. The Royal Children’s Hospital may seem to some like an unusual place to go for a tour. I can assure you however it is very well worth the trip. Officially opened by Her Majesty the Queen late in 2011, this building has won a full cabinet of accolades. The first thing to notice here is the impressive use of coloured panels which shade the western facing facade. The analogy as explained by our tour guide is that of leaves on a tree which during the later hours of the day throw a softer coloured light into the building. This design element shows how a pragmatic function can be designed to achieve a delightful outcome. 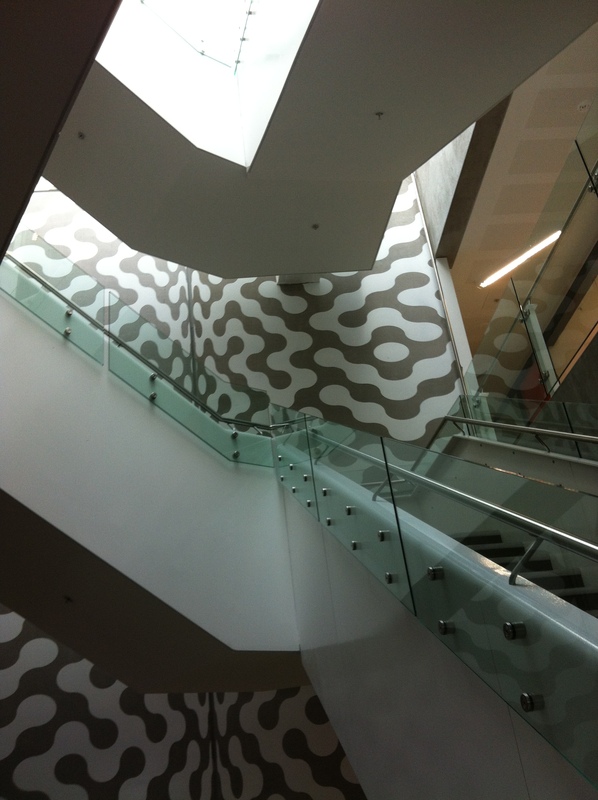 The next stop was ‘main street’ which is an impressive ‘L shaped’ atrium space filled with light and activity. The lengths that the architectural team (Billard Leece, Bates Smart and HKS) have gone to are extraordinary and ensure that the experience for the public is first-rate. Highlights in ‘the street’ include the massive cylindrical fish tank, interactive video walls and fantastic artworks. One such artwork, which is the clear favourite of the children, is entitled the creature. It is a 14 metre tall, colourful creation which is interacting with a giant butterfly which has perched itself on a limb. Beyond Main Street, the building takes every opportunity to interact with the parkland surrounding it. New wards have been designed within a star-shaped plan to enable the maximum number of rooms with a park view. Break out spaces and the reflection and prayer spaces all have a relationship with the park beyond. From a Vitruvian viewpoint the delight in this building is obvious on the faces of the children seen playing in ‘the street’. The colours used throughout the building create a light and airy atmosphere without the colour being too bright and overwhelming. The commodity/functioning seems excellent from the viewpoint of the general public, however it can be difficult to know from a tour how well the building functions from the viewpoint of the doctors and nurses who work in it. I have heard that some frustrations exist in relation to the facilities on some wards but there are always multiple sides to this story. The firmness of a building originally implied the ability for a structure to stand the test of time structurally. However contemporary architecture should have a broader interpretation of firmness which includes sustainability. 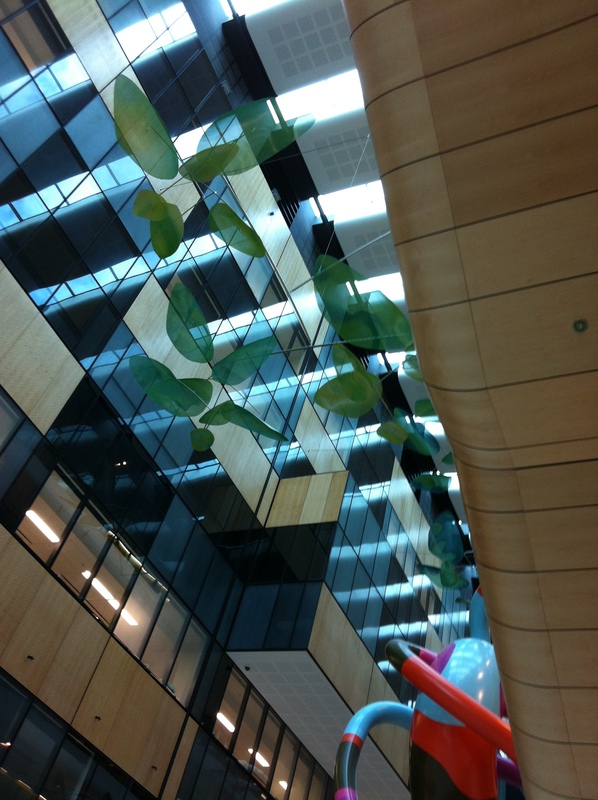 The Royal Children’s Hospital has impressive environmental credentials however for me I would also like to know how adaptable the space will be in the future. With medical research being undertaken at an ever faster speed, to be truly successful this building will need to adapt in a way that they old building could not. There has been clear thought to how the architecture can improve the experience for patients and families at the hospital. For me this building really sets a new benchmark for how all hospitals could be. If I still cannot persuade you to visit after all this, there is also a meerkat enclosure! 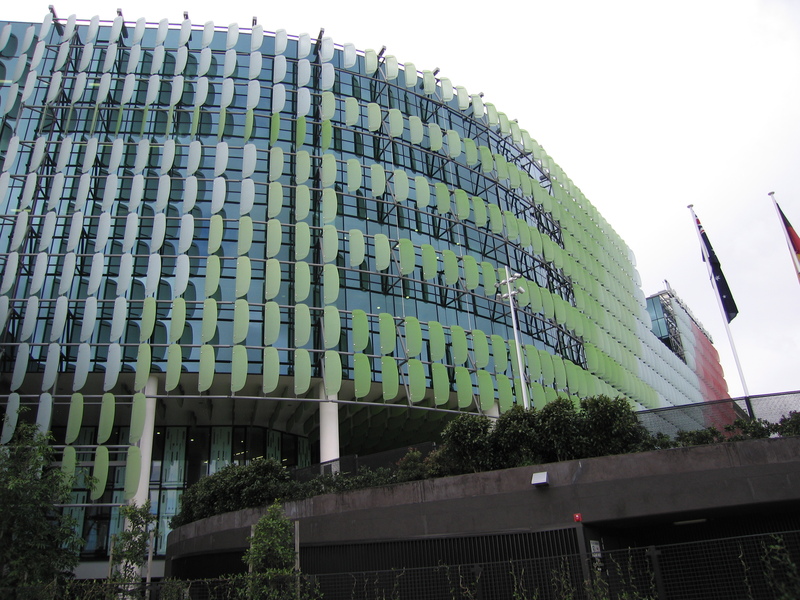 The Melbourne Brain Centre was also completed in 2011, but holds a lower profile in the community than either the Children’s hospital or Hamer Hall. It was designed by Lyons who have also recently finished the multi coloured academic building for RMIT on Swanston Street. 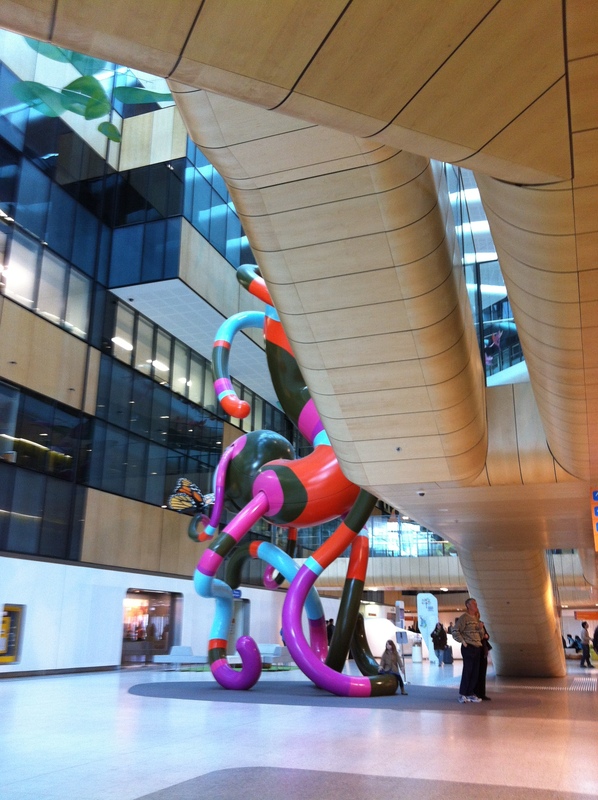 Woven into this building from the moment you approach the foyer is the references to the brain and medical science. 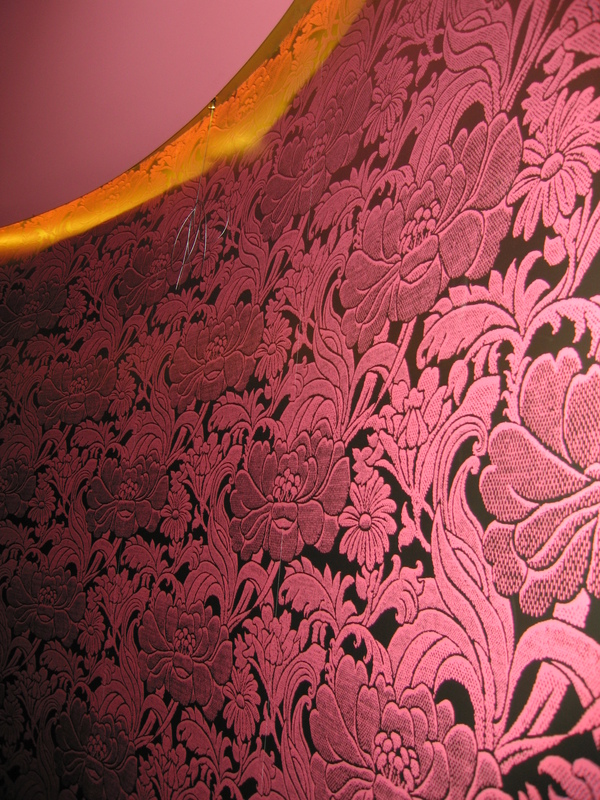 There are ‘bi-polar’ columns which have two separate finishes split vertically, curtains inspired by Schizophrenia and a repeated blob pattern lifted from medical imaging of the brain. On this occasion we were extremely lucky to get a personalised tour by a senior researcher at the facility. 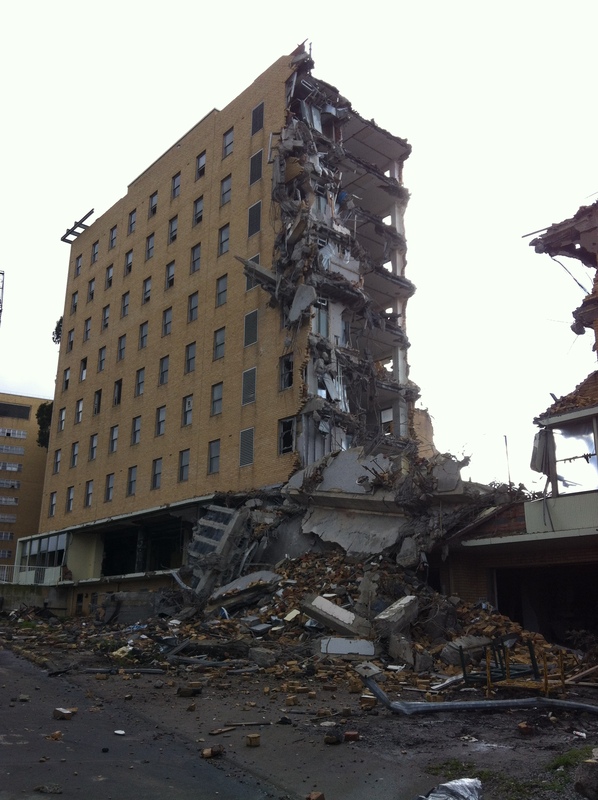 What this tour revealed is how difficult a technical building such as this one is to achieve. 20mm thick bench tops that were not able to support all of the heavy and expensive equipment required. Offices which are have significant noise levels from the large atria. Frustrations by end users who felt they weren’t consulted. Despite these shortcomings, I still feel that Lyons have done a pretty good job. Yes their end user input didn’t work as well as would have been liked and should be reviewed, but the big ideas in this building are definitely worthwhile. It was evident looking around that cross collaboration would be easily facilitated in spacious staff rooms which overlook the Melbourne University, and smaller break out spaces and even on staircases. After all the idea behind building the new facility was to co-locate several different research groups in the one building. To this end the building will be a resounding success and will contribute even further to the wider research precinct which is rapidly developing in Parkville. Melbourne Open House was yet again a fantastic success with over 135,000 visits made across the 100 buildings. Many thanks, to those who made Open House 2012 so enjoyable. This entry was posted in all posts, Free architecture, Melbourne Open House and tagged Ashton Raggat McDougall, Bates Smart, Billard Leece, free architecture, Hamer Hall, HKS, Lyons, Melbourne Brain Centre, Melbourne Open House, the creature, The Royal Children's Hospital. Bookmark the permalink.